You might have used or heard about Patchouli Oil being one of the essential oils. Like Lavender Essential Oil, Orange Essential Oil, Lemongrass Essential Oil, Similarly Patchouli Essential Oil is also very beneficial for our physical and emotional health. We are using this essential oil regularly now and we found it great; as it is a multipurpose oil. Yet, there are some people who are unaware of Patchouli Oil or Patchouli Plant. Well, now you must know about Patchouli Oil uses. 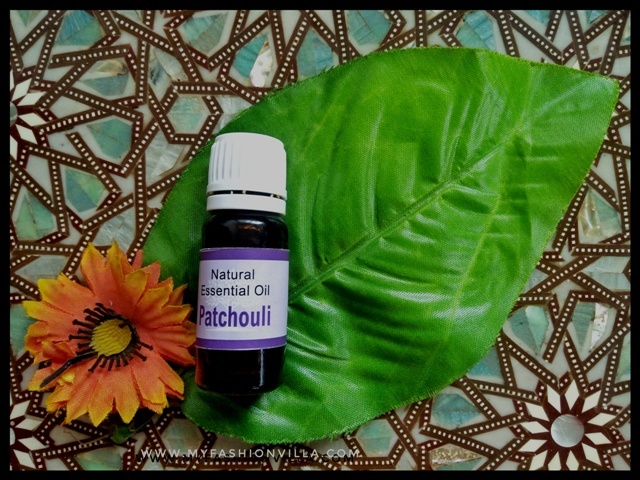 So, in this post, you will read about the Patchouli Oil, its uses and benefits! Patchouli Oil is derived from the Patchouli Plant. 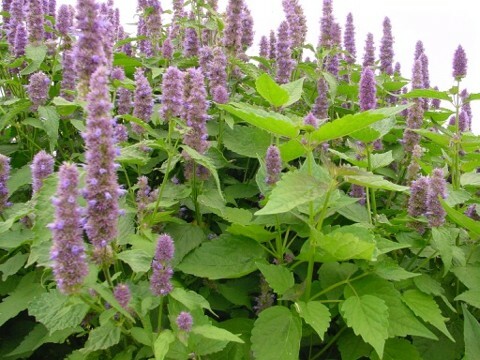 This Patchouli Plant falls under the family of labiatae which also has Mint and Lavender and it has genus of Pogostemon. The plant has medium height and pale pink flowers. Patchouli Oil has components namely Caryophyllene, Norpatchoulenol, Alpha Patchoulene, Beta Patchoulene, Alpha Bulnesene, Patchouli Alcohol, Seychellene, Alpha Guaiene and Pogostol. The Patchouli Oil is extracted from the leaves of Patchouli Plant by the process of steam distillation. The leaves are provided steam, which breaks wall of cells. After that, they are dried and fermented. Patchouli Oil has a strong fragrance which is used in perfumes and other colognes. 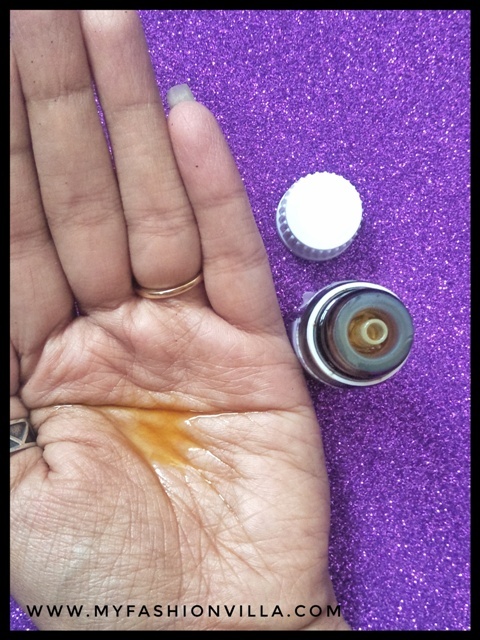 Besides this, here is a list for “how to use Patchouli Oil” and benefits of Patchouli oil. Before We Share Uses and Benefits of this useful essential oil, here is the one that I am using these days and I find it so amazing. I have picked up this during my recent trip to North India. But It is Available online also. 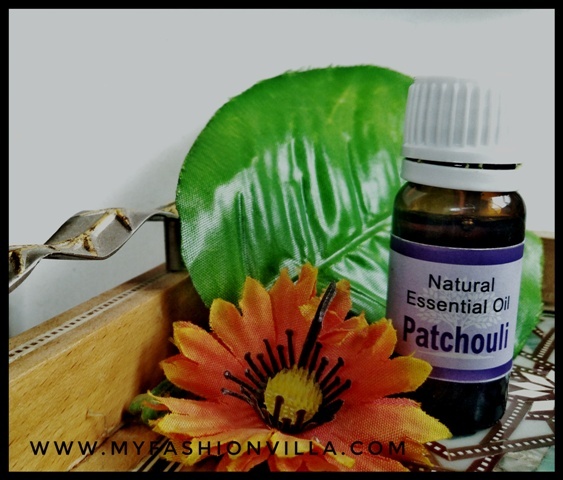 How to use patchouli oil? For skin health and repair, you can mix 1-2 drops of Patchouli essential oil in your routine body lotion or moisturiser. It brightens and tightens the skin. For healthy skin massage, 1-2 drops of this essential Oil can be diluted in carrier oil like coconut oil and can be used as excellent soothing massage oil. If you have acne prone skin or acne scars, mix 4-5 drops of Patchouli Oil in your face wash and apply it gently. This will remove the unwanted scars gradually. For curing insomnia or distressed sleep, you can put and spread 1-2 drops of Patchouli Oil on your pillow. It will help you have relieving sleep. For hair, mix 3-4 drops of Patchouli Oil with your hair conditioner and massage gently. This will repair your hair condition and remove the dandruff. You can use Patchouli Oil as Aromatherapy. In the oil diffuser as well. How To Use Patchouli Essential Oil in oil diffuser? Put some carrier oil and mix 3-4 drops of Patchouli Essential Oil in it. As it gets heated, your room would be smelling excellent! The aroma of this oil can reduce depression, headache and can improve the mood. This diffused oil is also capable of curing fever and cold. 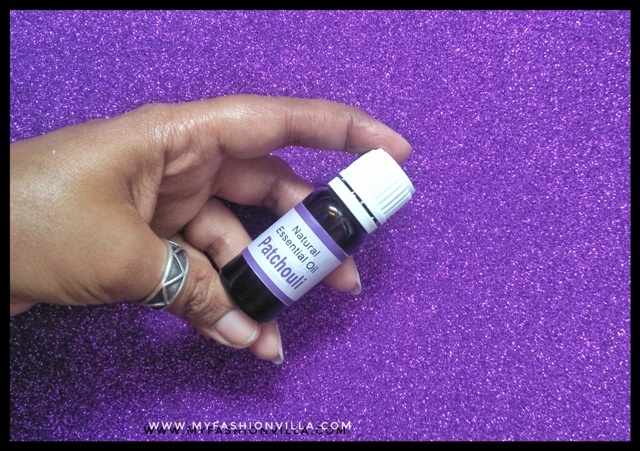 So far, we have listed some easy ways to use patchouli essential oil and how it solves our health issues. Now, let us discuss about key benefits of patchouli oil in improving our health. As aromatherapy, Patchouli Oil works great. It can fight depression and headaches. This happens because of the serotonin hormones are released as we inhale the soothing fragrance of patchouli oil. Being an Essential oil, it also fights inflammation and infections on skin. It can be used to cure little wounds, which have risk of getting infections. Patchouli essential Oil is also useful for improving the sexual health of both men and women. Stimulating sexual hormones, oestrogen and testosterone, which gradually improves sexual health and relationships. Maintains perfect blood circulation. Patchouli Oil generates new cells. It also helps in increasing red blood cells. 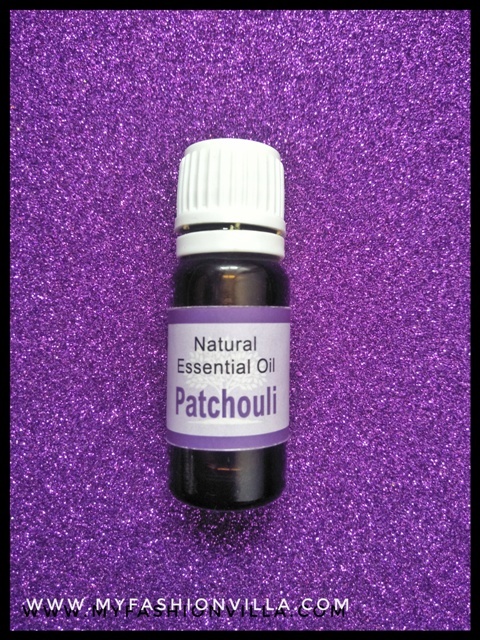 As mentioned earlier,Patchouli essential Oil can remove bad odour from the room. It can fight fever and cold as well. Besides all these benefits of this oil, there are other simple uses of patchouli oil to make your life better and healthier. It has many healing and fighting properties and we can use it to fight illness and weakness in the body. We must try to increase the use of essential oils in our daily life as they very beneficial. A small step towards better health of you and your family. There are many effective essential oils like, Patchouli Oil, Eucalyptus Oil, Tea Tree Oil, Lavender Essential Oil and many more. I would suggest, start knowing about all these oils and use them for holistic well being. Let us know if you want us to write more such posts, we would love to do that. Hope you people found this post helpful. Give Essential Oils, an essential place in your life!